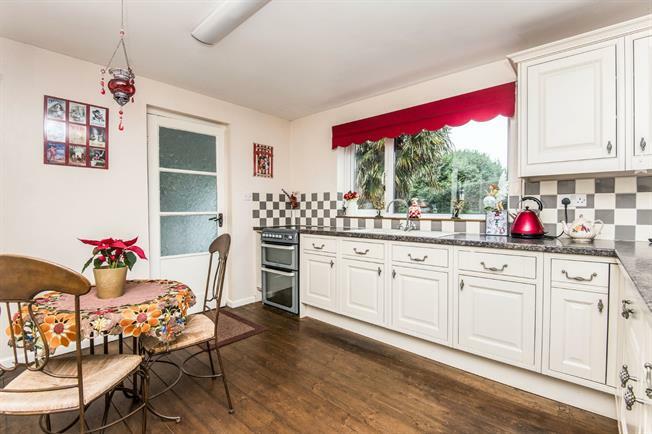 3 Bedroom Semi Detached House For Sale in Dawlish for Asking Price £240,000. We are pleased to bring to market this well presented three bedroom property which offers spacious living accommodation including a modern kitchen/dining room which leads into a double glazed conservatory overlooking the low maintenance and private garden, upstairs are three good a size bedrooms and a modern bathroom suite. There could also be further potential to extend into the loft subject to planning permission. The property also benefits from a garage and parking space. To appreciate the space in this property and internal viewing is strongly recommended. Upvc polycarbonate roof, power points, Upvc double glazed windows to front, Upvc obscure patterned double glazed window to side, Upvc double glazed french doors and side window leading out to rear garden, ceramic tiled flooring. Patterned obscure Upvc double glazed window to side, low level WC, pedestal wash hand basin with mixer tap, work top with space below for washing machine, tiled flooring. Upvc double glazed window to rear aspect offering countryside views, radiator, centre light, power points, TV aerial point. Upvc double glazed window to front aspect, radiator, centre light, power points, pitch pine flooring. Upvc double glazed window to front aspect, centre light, power points, door to built in walk in wardrobe with light, hanging rail and shelf. Centre up light, Obscure double glazed patterned window to rear, modern three piece suite comprising low level WC, pedestal wash hand basin, part tiled surround, 'P' shape panelled bath with mixer tap and shower attachment over and curved glass opening shower screen, wall mounted ladder style radiator, vinyl tile effect flooring. Up and over door, power and light, wall mounted combination boiler.